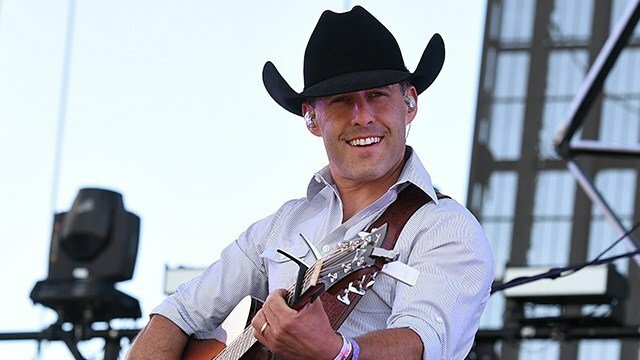 Who Tells Aaron Watson What to Do? Aaron Watson does what he wants. The independent Texas singer-songwriter is one of the most successful stars today. He made history in 2015 when his album, "Underdog" debuted at No. 1 on the Billboard Top Country Albums chart. The next year, "Vaquero" debuted in the Top 10 on the Billboard Top 200 Albums chart. Each achievement is made even sweeter by the fact Watson is making music on his terms without the input or backing of a major label or mainstream country radio. But the father of three admits his seven-year old daughter, Jolee Kate, can make him do just about anything -- including buy a car. "I had a Jeep for a couple years and then I got rid of it cause I wanted something different," Watson explains while sipping coffee. We're in the back of his tour bus in Nashville, but it's obvious his thoughts are on home and his family. "But she missed the Jeep. She’s seven now and for the last three years, I’ve heard her complain about me not having the Jeep. We live between two towns. One is four miles away and the other is four miles away. So I wanted an older Jeep that we could just drive back and forth to the little stores. Basically, I bought a Jeep because Jolee told me to buy a Jeep. "One night I was just thinking, what if I wrote the song right now while she’s a little girl, that she and I could dance to at her wedding one day? I just wanted to write a song that would basically lift girls up on a pedestal, like girls of all ages. From newborns to 100 years old, to let them know they are special." That result is the song "Diamonds & Daughters." You belong to the one who made you sparkle and shine"
The sentimental song stands out on an album jam-packed with 16 tracks. And most importantly, Jolee Kate approved. "She loves it. One of the sweetest moments, I will never forget, she just looked at me and just absolutely head over heels in love with her daddy. It was the sweetest moment and I was just choking up." But fans shouldn't expect to see the song performed in any of Watson's shows. "I don’t know if I can play that live. It gets me pretty good." Hear the song "Diamonds & Daughters" below.